I just got some new dies and immediately made this card. The kites are from Impression Obsession. I really love their dies. I made this one for a friend and she got it today so I can post it now. 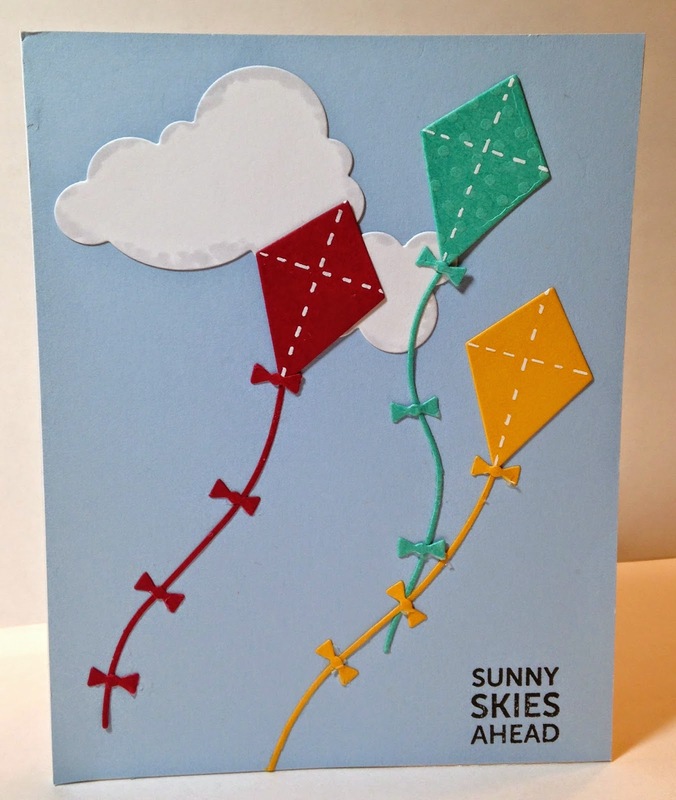 I like the little bows that come with the kites and the strings are also a separate die. 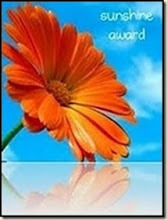 We have had such cold weather here but lots of big winds so I was thinking nicer temperatures and lighter winds. I am just done with this cold and wind. I should not complain as we have not had much snow so far. I know there is a lot more winter ahead but a little break would be nice. 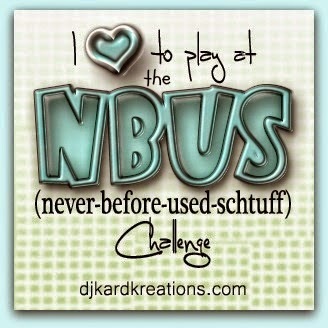 I am going to enter this into the NBUS challenge. I'm wth you and Lynette! I don't usually mind Winter months but the days this week have been miserable! Tonight the wind is really howling out there! P.S. And of course I love your card!!! Awww so cute!! It's great to get supplies that inspire you instantly! Great job with adding those cute dotted lines too! Hugs!